I’m enjoying some summer reading of Jonah Lehrer‘s Proust Was A Neuroscientist. Chapter 1 does not disappoint! 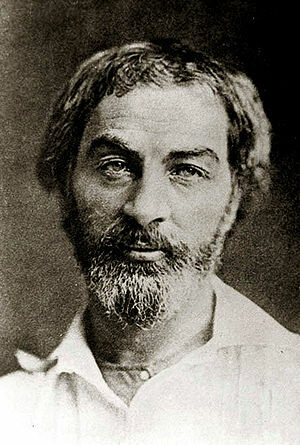 – on the life and poetry of Walt Whitman who was among the first modern western artists to reject dualist notions of a dichotomy between mind and body that stemmed from early Christian writings and the philosophies of Rene Descartes (1641), and rather, embrace longstanding eastern notions of a synthesis and continuity of the mind and body. This may relate to the ancient yoga sutra II.48 tatah dvandvah anabhighatah “from then on (after the perfection of asanasa), that sadhaka (yoga student) is undisturbed by dualities”. “And if the body does not do fully as much as the soul? Ideas with such eastern influence earned him accolades as, “a remarkable mixture of the Bhagavad Ghita and the New York Herald” in his contemporary 1850’s press. Lehrer also traces the birth of modern neuroscience to early pioneers such as the psychologist William James, who, it turns out, was a great admirer of Whitman’s poetry. A wrong turn with Descartes in the 1600’s, steered back on track by Whitman and James in the 1850’s!